Fifteen minutes or so into the film I started thinking about stories like 1984 and Brave New World. Dystopic futures that motivate us to get some perspective on the state of the world and the state of the potential future. 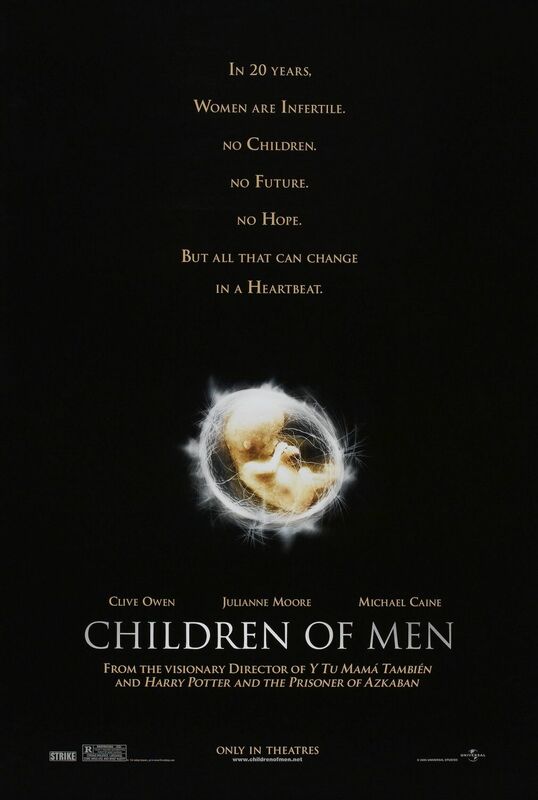 The film takes place 30 or 40 years in the future in a world where women can no longer have children. Everything comes into light when the human race is about to end, and obviously instead of making the necessary changes, we would fall into a massive downward spiral of fear and violence. Smart and thought provoking and very relevant.